Warren Buffett knows this secret. That's why he paid $26.5 billion to participate in America's fastest-growing oil play. Billionaire investor Bill Ackman, founder of the Pershing Square hedge fund, knows it, too. He followed Buffett with a multi-billion-dollar investment of his own. And individual investors who know this secret can profit right alongside some of America's savviest investors. I'll share this secret with you today, in just a minute. And I'll also show you how you can make up to a 220% profit on a $6 stock. Hello, my name is Keith Kohl. I’m the editor of the oil and gas investment newsletter Energy Investor. 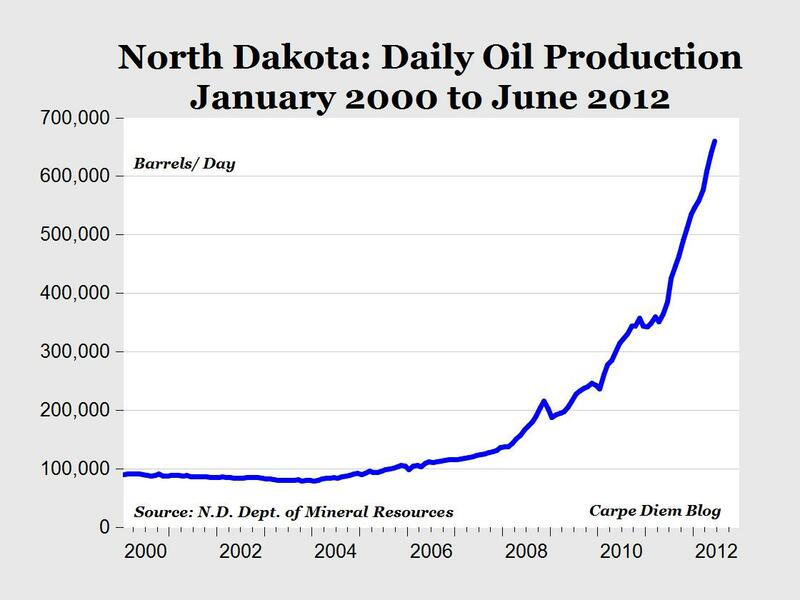 Six years ago, I alerted my readers to two small oil stocks that were drilling in North Dakota's Bakken oil field. They were Brigham Exploration and Northern Oil & Gas. In October 2011, Brigham announced it was being acquired for over $36 a share by Norway's state-run oil company, Statoil. And Northern Oil & Gas has been as high as $32.55. These days, with a struggling economy and high unemployment, letters like these are what make me get up in the morning and go to work. And all this hard work is about to pay off for you again. My favorite Bakken stock trades for just $6 a share. It has a total of 86,000 prime acres in the Bakken... and just a couple months ago, one insider bought over 9 million shares of this company's stock. There's only one reason an insider would make a $55 million commitment like this: They know the share price is headed higher. What makes this insider so sure? In the last year, this company's proved reserves have jumped a whopping 890%... to over 14 million barrels of oil. And revenues ramped up 646% — to $60 million. As this company drills its wells, it's grown revenues from $8 million... to $60 million last year... to what will be $180 million this year. And next year, revenues are expected to hit $265 million. There's only one place you can find growth — and profits — like this: the Bakken. There's just no way this stock can stay this cheap for long. I'm convinced this will be at least a $19 stock in the next few months. That's a 220% gain! You wanna make some easy loot in this crazy market? Then buy undervalued Bakken oil stocks. It's as simple as that. This company controls over 218,000 acres in the Bakken that hold 95 million barrels of oil. Net income skyrocketed 4,266% last year — and will jump 50% this year... and another 50% next year! It gets better: In the last couple months, they completed 15 new wells, and they have 7 rigs drilling 24 hours a day. It's one of the fastest drilling programs ever. That's why revenues are growing so fast. I have no doubt that sales and net profit will rise in the coming quarters. This $8 stock is the most attractive takeover target in the Bakken. Your gains could be 118% to 175%! My third Bakken stock — at just $0.40 a share — has the most explosive upside potential. It has 10,000 prime Bakken acres. That may not sound like much, but remember... this is a 40-cent stock! By the end of 2013, it will be pumping nearly $3 million of oil every week. They have important catalysts that the majority of investors don 't know about — or don't understand. I call these "profit secrets." Most investors had never heard of the Bakken when I started recommending Bakken stocks. In 2008, the U.S. Geological Survey (USGS) completed its estimate of recoverable light, sweet crude reserves in North Dakota's Bakken Formation, located in the Williston Basin. I’m not kidding when I say billions of dollars were made on the heels of that USGS Survey. And the profits aren’t done rolling in — not by a long shot. In 2010, a new oil reserve was identified that actually lies beneath what’s known as the Bakken. Literally overnight, recoverable reserves jumped 50%. We were looking at a whopping 6.2 billion barrels of recoverable oil. It’s true — North America's fastest-growing oil play keeps getting bigger. Now, Bakken oil is light, sweet crude oil — every bit as good as Saudi Arabian oil. It's the most desirable quality because it's the cheapest and easiest to refine. You see, the USGS just finished a new survey that boosts the estimated recoverable reserves of the Bakken/Three Forks to 7.4 billion barrels of oil. Another 1.5 billion barrels of oil is nothing to sneeze at. But the fact is the government is still wrong about the Bakken. Top Bakken insiders say there is a lot more oil in the Bakken. Insiders believe the true amount of recoverable light, sweet crude oil is much, much higher than 7.4 billion barrels. So, Bakken Profit Secret #1 means that the gains on your Bakken investments should be even bigger than what I’m currently estimating! Harold Hamm is the billionaire founder and CEO of Continental Resources (NYSE: CLR). In fact, Continental drilled the first commercially successful Bakken oil well back in 2004. Nobody knows more about the Bakken than Harold Hamm... after all, he's betting his company’s future on Bakken oil. Because Hamm is convinced there are 24 billion barrels of recoverable oil in the Bakken. The most influential Bakken insider says there is four times more oil than the USGS can find. This is incredibly profitable news for Bakken investors... because it means you can basically take every price target for Bakken oil companies — and double them. That means the $6 Bakken stock I’ve been telling you about — the one with 220% gains coming — is likely to make much more money for you. The stock could easily trade at $24.50 a share... or higher. And you can start amassing a fortune-building position in this stock for just $6 a share. Now is the time to start buying — when stock prices are low and most investors are focused on U.S. economic growth and the debt situation in Europe. And I’ll get you started building your Bakken fortune with my latest Special Report, "Bakken Billions: 3 Bakken Stocks Under $10 for Triple-Digit Gains." In this report, you’ll get my detailed analysis of exactly how this $6 stock will inevitably rise 220% (at least), and may go as high as $24.50 a share — handing investors a 308% gain! This company is virtually unknown outside of oil circles, but insiders know that its 86,000 acres are among the very best Bakken land concentrated in the areas where the most productive wells have been drilled. BlackRock owns over 1.2 million shares. Franklin Templeton owns over 2 million shares. These guys know what’s going to happen to this stock. They’re going to make their money — a lot of it. And you have the opportunity to profit right along with some of the most savvy oil insiders in the world today. When you get your copy of "Bakken Billions: 3 Bakken Stocks Under $10 for Triple-Digit Gains," you’ll also get the details on two other small Bakken players with HUGE profit potential. The $6 Bakken stock I want you to buy has 86,000 acres of prime Bakken land. It's got 3 rigs drilling 24 hours a day. In a few months, it will be pumping 4,950 barrels per day. At $90 a barrel, that's over $162 million in annual revenues. Conservative estimates are that this company's revenues — and earnings — which significantly jumped in 2012... will nearly double in 2013. Revenues and profits are exploding to the upside. And again, you can get it for just $6 a share. Even more incredible: This stock is an amazing bargain. The forward price-to-earnings ratio for the next 12 months is just over 7! That's why I urge you to get your copy of my latest Special Report, "Bakken Billions: 3 Bakken Stocks Under $10 for Triple-Digit Gains," as soon as possible. Because you'll be kicking yourself if you miss the run from $6 to $19. Build Your Own Bakken Oil Bank Account — for Just $8 a Share! These days, oil in the ground is like money in the bank. I mean, is there any doubt that oil prices will be higher in the future? And it’s why individual investors should start building their own Bakken oil bank accounts as soon as possible. Oil production from current fields all around the world is in decline. But the Bakken is unique, and its profit secrets virtually guarantee investors will make out like bandits — very wealthy bandits. That’s because traditional drilling methods don’t work on shale. “It was a light bulb kind of thought,” Findley said. The oil field he'd found — and the technology that he helped develop to extract the oil — has recently made millionaires out of ordinary North Dakotans and Montanans. Findley soon took his discovery to energy giant Halliburton, which backed him financially and provided the support to help him develop the necessary drilling technology to efficiently take advantage of this huge oil discovery. It's true that the oil industry has known about the Bakken Formation for over 20 years, but the problem always was that no one knew how to get at the oil. The technology just wasn't there — until now. It was Findley's idea to drill a well sideways — a technique called "horizontal directional drilling" — in which wildcatters drill down to the oil and then kick out their well thousands of feet to the left or right, sort of like an underground sprinkler. Findley had to work with Halliburton engineers to figure out a way to both drill sideways and fracture the rock (fracking) to release the oil. 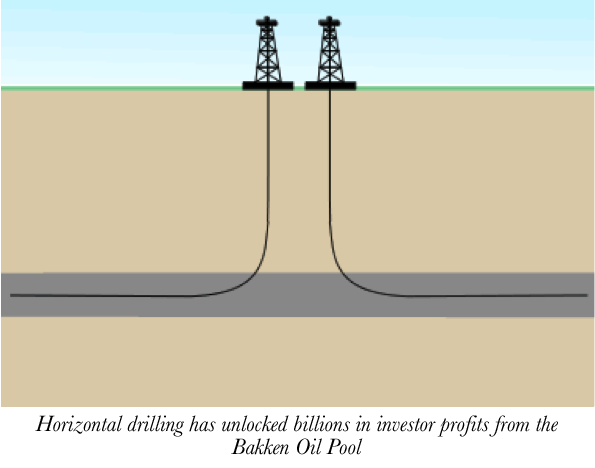 Horizontal drilling and fracturing had been done before — but never together. This was Findley's revolutionary idea. Because even today, horizontal drilling and “fracking” are not exact sciences. The process is equal parts art and science. And the fact is, some companies are better at horizontal drilling than others. "It's too early in the play to be sharing information." — Bill Walker, a Denver-based geologist with Headington Co. The $6 Bakken stock I’ve been telling you about is one such company. The initial production (IP) rates for recent well completions have averaged as high as 3,034 barrels of oil a day! These IP rates show that it will pump more oil than its peers... it will make more money... and its stock price will perform better. As I mentioned earlier, my name is Keith Kohl. I'm the energy analyst and investment strategist of the Energy Investor, an investment advisory service. I’ve built a very successful career at the forefront of new oil and natural gas discoveries. And my cutting-edge investment research has helped thousands of individual investors make life-changing wealth from the best stocks in the energy sector. In fact, Energy Investor members have made money on every significant oil and gas field — including the Eagle Ford and Haynesville in Texas, the Marcellus Shale in Pennsylvania, the Oil Sands of Alberta, and of course, North Dakota’s Bakken shale oil field. Like I said, my readers and I practically discovered the Bakken as an investment. But we’re nowhere near done, because oil is the only investment asset the world simply can’t do without. I’ve been leading investors to the very best-performing energy stocks since 2007. "Some $20 trillion of investment in supply infrastructure is needed to meet projected global demand. " Now, I don’t always trust the IEA... They're in the pocket of global government, and one of their main goals is to gloss over the simple fact that the world has already run out of cheap oil. They do this to keep people from panicking. But this time — saying $20 trillion is needed for oil production — the IEA was right on target. Twenty trillion dollars — that’s the size of the opportunity we’re investing for. The energy crisis of the 21st century is, without a doubt, one of those investments by which you can achieve a lifetime of wealth. It's a sector that could make you a legendary fortune in just a short period of time. When you sign up for Energy Investor, you'll immediately get access to the blockbuster Special Report, "Bakken Billions: 3 Bakken Stocks Under $10 for Triple-Digit Gains." With the latest North Dakota oil study shining a new spotlight on the Three Forks Formation, many of those Bakken drillers are ready to explode. The World's BEST Energy Research for Just Pennies a Day! With gains like 574%, 478%, 286%, 118%, and 114%, I have no problem saying, "Mission: Accomplished." My readers are making more than top hedge funds, mutual funds, and even the savviest individual investors. Is $2,000 too much to ask for 574%, 478%, 286%, 118%, and 114% profits? The fact is top energy hedge funds will charge thousands a year in fees — and they'll take part of your profits, too. If you act now, you can receive Energy Investor for an entire year for the ultra-low price of just $49. That's $49 for 12 months of profitable research and Special Reports. Mere pennies a day for the high-level research that can double or triple your money! Simple: The Bakken is a major American oil field. It's bigger than Alaska's Prudhoe Bay. I want Americans to have the opportunity to profit from it. So I make my research and investment advice as cheap as possible. Monthly Issues of the Energy Investor: You'll receive every copy by email, quickly and efficiently. Specific Entry, Exit, and Target Prices: You’ll never have to guess if a stock is a good buy or not. We’ll always give you specific entry points, sell prices, and realistic targets for our recommendations. Complete Research for Every Recommendation: You’ll always know exactly why we recommend a stock. You’ll know what catalysts to expect and what hurdles to watch out for... that way, you can invest — and profit — with confidence. Live Customer Service: If you ever have a question or concern about an issue or investment recommendation, please call one of my lovely customer service agents. They're here to answer your questions, Monday through Friday, from 9 a.m. to 5 p.m. (EST). Research Report #1: "Bakken Billions: 3 Bakken Stocks Under $10 for Triple-Digit Gains" – The Wall Street Journal calls it the biggest find in the lower 48 states in over 50 years. 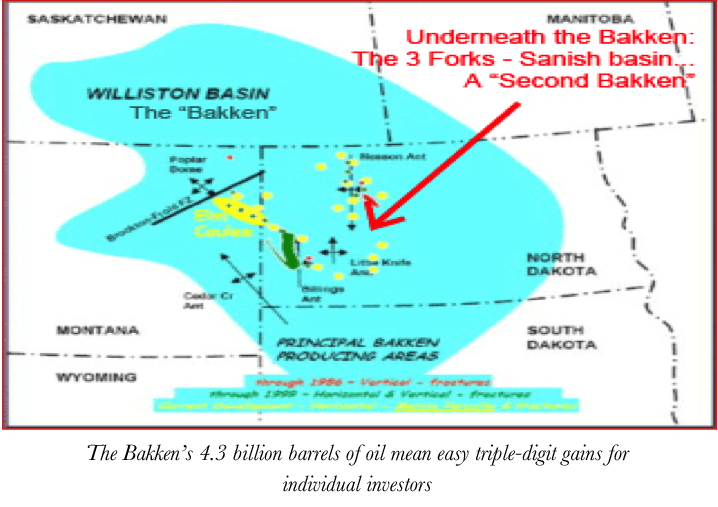 Insiders believe there are more than 24 billion barrels of light, sweet crude in the Bakken Shale Formation. Invest now and build your own Bakken fortune! Research Report #2: "The Ultimate Oil Triple Play: Three Companies for Oil's New Era" – Saudi Arabia's dwindling oil reserves is the biggest cover-up in the oil market today. You'll be perfectly positioned with these strategic, all-American energy plays. I expect a minimum of 132% gains – plus one of these companies pays a whopping 8.2% dividend! And best of all: a full 100% Money-Back Guarantee: If you don't agree the Energy Investor delivers the safest and most lucrative energy investment ideas and recommendations you've ever received, just let us know within six months. I'll see that you receive full reimbursement for the money you've paid. And the Special Reports — including "Bakken Billions: 3 Bakken Stocks Under $10 for Triple-Digit Gains" — are yours to keep FREE OF CHARGE, no matter what. But you need to act fast if you want to secure your share of Bakken oil profits. I urge you to start building your Bakken oil fortune today by clicking here.